Ultimate luxury on river cruises to intriguing destinations. Choose Uniworld to give you the best luxury service and unique locations that you could ever imagine. Uniworld offers luxurious, carefree, effortless and all-inclusive river cruises. Among the excellent inclusions on a cruise with Uniworld are an abundance of personalised excursions led by English speaking local experts, all onboard and offshore gratuities, in suite butler service, all meals onboard and unlimited beverages. You can enjoy VIP treatment in terms of excursions- a number of exclusive excursions are offered only by Uniworld cruises meaning you won't be able to experience them with other cruise lines. And what's more is that they're all included in the price. Uniworlds' art infused ships are award winning and unique. Each vessel displays works by famous painters, master craftsmen and furniture designers commissioned exclusively for Uniworld ships. Sail to Europe with River Beatrice or S.S Antoinette, Eqypt with River Tosca, Vietnam with River Orchid or Russia with River Victoria and be amazed by sublime artistry. Make the most of your time onboard with a colourful array of activities to pass the time from port to port, including exercise and wellness classes and an impressive fitness center. This is a magical Italian experience! 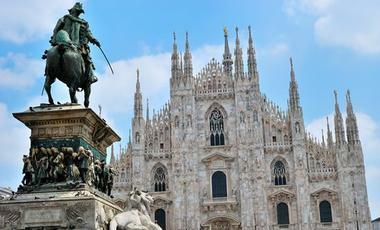 You'll go to the large cities of Milan and Venice and quaint towns like Polesella. Everyone knows how popular and touristy Venice is. Booking tours and tickets in advance will save you both money and time waiting in queues. Cruise along the blue Danube. 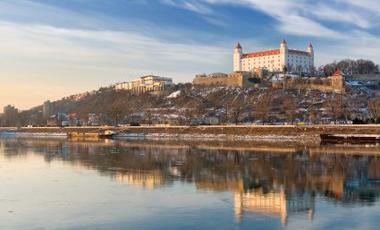 During this 7 night journey you will be travelling through four countries and get to see the best of central Europe. Experience the magnificence of Russia while sailing from St. Petersburg to Moscow on this 11 night river cruise. The beautiful River Victoria will be taking you to picturesque cities like Yaroslavl, Uglich and many more. 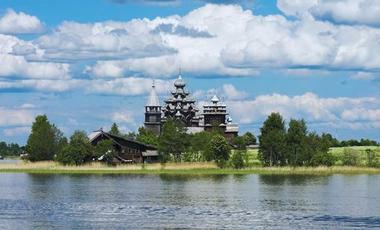 Make sure you explore the Kizhi Island's Open Air Museum consisting of 80 traditional Russian churches. The River Royale was completely renovated in 2012 and has now regained its luster. It now has an elegant style with exclusive materials and high quality furniture. The Queen Isabel offers a unique and luxurious cruising experience along the Douro river. Every cabin is complete with a French balcony, allowing you to get to see of the world-renowned Douro Valley up close. The River Queen is one of the most beautiful river cruise ships in the world and has been selected to the Condé Nast Traveler at No. 1 in the category of art deco. Aboard the River Countess you will feel like a prince or princess during the Baroque era. On board this ship you will feel as if you are experiencing a special cultural and historical event. The sophisticated ambience and excellent service upon the River Princess will allow you to have the best river cruising experience. Enjoy the stylish elegance of the newly renovated River Duchess and let yourself be pampered by the excellent service staff. The spacious rooms invite you to relax and have a good chance to get away. The River Victoria is the best choice for a luxury cruise along the Volga, giving you the most memorable and scenic cruises. Uniworld's newest Super Ship, S.S. Maria Theresa,takes you along the breathtaking Rhine, Main, and Danube rivers. S.S. Maria Theresa will take guests to some of Europe's most remarkable destinations in impeccable style. A river cruise with Uniworld will be an unforgettable experience that you will want to repeat at other times. In operation for more than 30 years, Uniworld has perfected the art of river cruises. This is just one of the reasons Uniworld is recognised as the number one river cruise company in the world. An Uniworld experience will surely be unforgettable! With an average capacity of only 130 passengers per ship, Uniworld ensures a unique and personalised experience. On board you can experience some of the most famous and beautiful routes in the world. 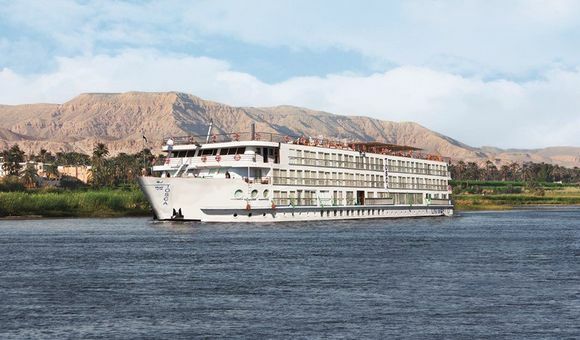 Uniworld offers cruises for 13 rivers in more than 20 countries around the world. In Europe, you can cross the waters of the Danube, Seine, Main, Rhine, Moselle and Douro and enjoy all the sights, sounds and tastes that the beautiful stops along the way offer you. There are several incredible places to choose from. The river ships of the Uniworld fleet are distinguished by their fusion of elegant and distinctive decorative style with modern amenities. Among the fleet, you will find many firsts from the river cruises industry such as the first art museum on a river cruise boat as well as the first movie theatre and heated pool with underwater music. After embarking on any ship in the Uniworld fleet, the impressive décor will be a prominent feature. There are ships that have decorations inspired by iconic times of the past, such as Art Deco and Baroque. These epochs inspire the majestic and imperial decorations that are unbelievably beautiful and contribute to an unforgettable cruise experience. You will truly feel like a king aboard any of the Uniworld ships, offering a truly unique experience. Cabins and cabins also have comfortable beds, private bath and are equipped with TV, hairdryer, mini bar and safe. Onboard the Uniworld fleet you will experience first-class meals and services with a wide variety of dishes that will delight you. Chefs aboard Uniworld ships specifically use ingredients from the region you are traveling to, ensuring that you are fully embedded in the local culture. Book today with CruiseAway and experience the best of Uniworld. Call our Uniworld cruise experts today to discuss your free no obligation quote and find all the best deals we have to offer. Uniworld river cruises will truly be one of the best experience you will have on a cruise ship.